If there has been one thing holding the iPhone X back in the market place it is its sky high price. Not a company to do anything as demeaning as dropping the price of a flagship model in the year after its release, the company may, however, release a more competitively priced sequel. RBC analyst Amit Daryanani is of the view that Apple could trim as much as US$100 off the price of the successor to the iPhone X when it launches in September. 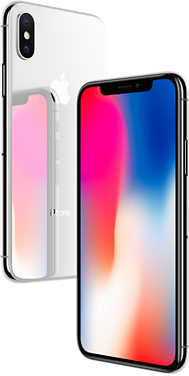 Currently priced at US$999 for the 5.8-inch iPhone X 64 GB, Daryanani has forecast that Apple will introduce the next-generation equivalent for US$100 less bringing its starting price down to US$899. The rumored 6.5-inch iPhone Xs Plus will then slot in at the US$999 price point, also with 64 GB of storage. The two OLED models will be supplemented by a cheaper iPhone 9 that also features Face ID, including the notorious notch, but with a 6.1-inch LCD display. This third iPhone model is expected to be the volume seller priced as low as US$700+. This would see the iPhone 8 models disappear entirely from the iPhone lineup, rather than slot in further down the range as in the past. Daryanani is bullish on this variant and thinks it could comprise up to 50 percent of total iPhone sales volume, with total sales also up (thanks to a lower starting price point for the OLED models), heading into 2019.